So you're wondering whether to purchase a Hand Held Shower or a standard shower head and want to know the difference? While a standard shower head will provide you and your family a comfortable shower, it also can come with many options. A standard shower head is attached to the wall and in a fixed position. You can purchase one with a swiveling head or one that cannot be repositioned. Many will have the option to change the water output. Shower heads are available in many sprays, from a soft drizzle like spray, to a forceful and powerful spray, and many in between. While this type of shower head is mounted on the wall you can purchase an extension arm. The arm should allow swiveling, which will help you to adjust the height and direction of the shower head and water spray. This allows for the shower head to be of the right height for smaller children. Spraying options should be taken into consideration also, if you have younger children or even older adults in the family. A shower arm attachment can provide a hand held feel to a standard shower head. With the ability to swivel, you can now receive water from several directions. Massaging shower heads are also an option provided on standard shower heads. Standard shower heads also give you the benefit of pricing options. For as low as three dollars you can purchase a standard shower head made of plastic, but without any adjustable options. A brass or chrome fixed head can be purchased for as low as $20 and you can find water saving shower heads available for under $10. Fixed sunflower showerheads are another standard option, providing a large head of up to six inches in diameter, these are not only beautiful but can provide a rainfall like feel, pleasing to most people. These often run around $50 but are well worth it. A standard shower head may sound like it can provide all the benefits needed but let's take a look at the benefits of a hand held shower head. A hand held head can provide all of the benefits of a standard shower head and more. An attachment on the wall, which holds your hand held fixture in place, provides the same type of shower as a standard shower head. Leaving it attached to it's fixture, you can now swivel and adjust the direction of the spray. This type of fixture also comes with water adjustments from the soft water flow to a forceful massage spray. The added benefits of a hand held shower head is that you can remove it from it's fixed attachment. There is nothing to unscrew, just lift off of it's bracket and the extension hose is attached to the wall. Now you can spray yourself from any direction with any type of spray you desire. Just rinsing off your feet? That's easy with a hand held. Not only can you receive direct blasts of water, where you want it, but this type of shower head will also save you water and energy. The cost of a standard water head will add up more quickly as water is wasted while you soap up and try to rinse off. With a hand held you can spray water exactly where you need it. This means using less water. Also, since the water is closer to your skin, the water will not have time to cool off in the air, which will mean a lower heating bill. Some hand held heads also include a water filter. This is an added benefit. A filter will remove almost all signs of chlorine that is added to household water to kill bacteria. Chlorine can dry out hair and skin and even cause itching and burning in some sensitive people. Studies have shown that chlorine can contribute to the cause of asthma. A hand held fixture with a filter can only benefit you. Some handheld heads also provide their own self contained water pressure. You will not lose water pressure because of a longer hose or because of a filter attached to your handheld. A shower head with self pressuring hand held features offers oxygen that will help save half on your water bill. Many of these hand held heads can pay for themselves in a short time. Look for a hand held that offers a lifetime warranty and guaranteed never to clog. Hand helds that provide oxygen to the water will also give your skin a healthier glow and stimulate cell growth. Oxygen added will also help deep clean your skin and improve the circulation. These air systems work well even with households that have very little water pressure. When choosing between a standard shower head and a hand held shower head, be sure to weigh your options to select the best for you and your family. What if you can't decide between a standard and a hand held? Maybe one person in the household wants a standard fixture. There is another option available. This would be the dual shower head fixture. With one standard fixture plus an attached hose with a hand held fixture, this offers the ultimate in shower experience. With a dual fixture you have the option of using one shower head alone, or both together. For a young child you may want to use the standard showerhead in a soft rainfall spray, but for the working person who wants to relax, using both showerheads makes a good choice. Turn your standard showerhead on to its massaging features. Then use the hand held to spray feet, rinse soap or to get that last drop of shampoo from your hair. Turning both shower heads onto a full massage will not only relax you but you'll never want to go back to using just one shower head. The choice is yours. How to Choose Hand Held Shower Heads? The increasing demand of shower heads have given room to the developers to produce multiple Hand Held shower Heads. Now there are hundreds of them purchased daily to augment the bliss and enjoyment of bathing. Some of them have common features like pressure pumping and delivery, wall mounting, filtering etc but only some of them give complete liberty from chemical reactions caused by the metals used during manufacturing of that hand shower. 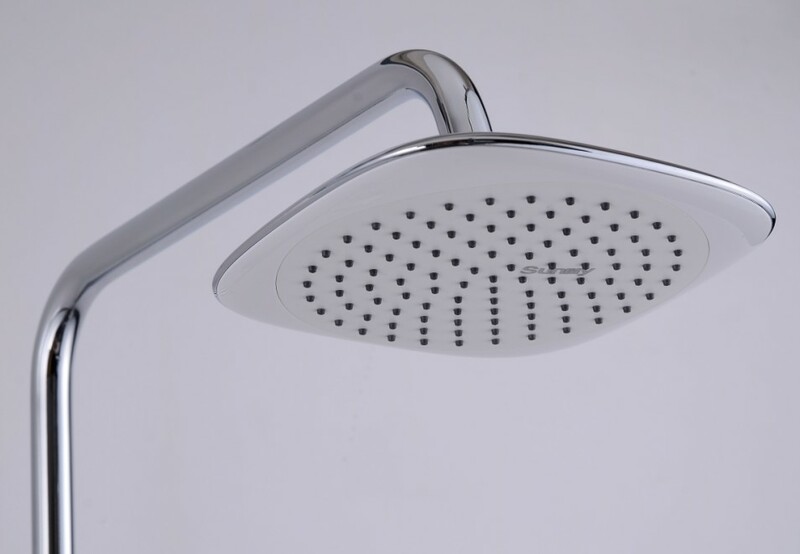 However, accuracy in the manufacturing of the shower head is essential because if there will be any lacking in standing position of the shower head, it can cause breaking or loss of shower. There are lots of factors that one has to keep in mind while purchasing a Hand Held shower Head including availability of water filter, pressure of the water, adjustment capability, metal of the shower, settings, and many more. However, in this article, you will come to know about the key features that must be taken in view while choosing the best product for our bathroom. Mostly, the complications come when someone buys something online without trusting over the online store. Every store over internet must claim that their product is the best yet only some of them cater variety and quality at one place. It is essential for you to scrutinize well before purchasing some product from any store. There are some shopping stores that provide you testimonials, reviews and feedback of their previous customers. Suppose if the customer gives negative feedback to some product, you will be safe from spoiling money. You can also subscribe some organization that provides reports about the best products in the market. It will also save your time and money. The best way of getting assessment to the appropriate product is through the salespeople, especially the people who have no interest in commissions. These people can be from your plumbing service, reliable hardware store keeper, some investor or your newly shifted neighbor. Through these people, you can get acquaintance about the most demanded product in Hand Held shower Heads easily.